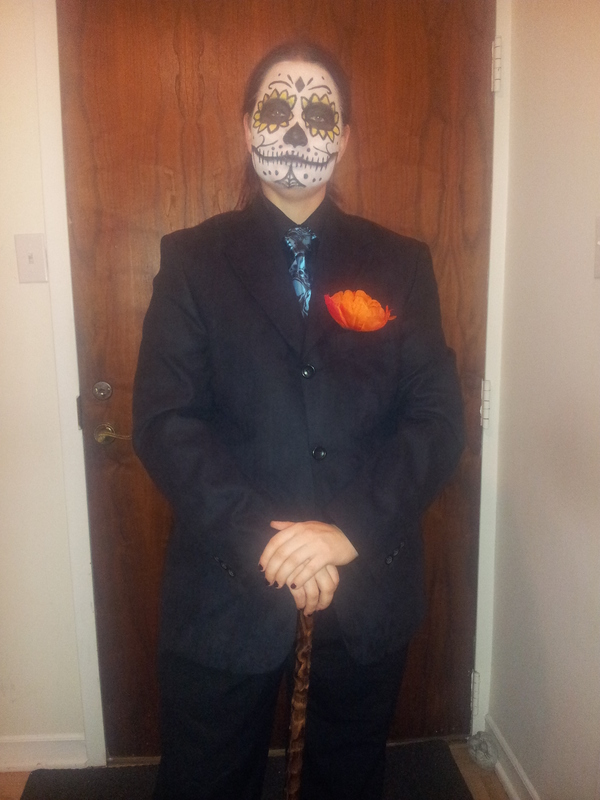 I’ve seen plenty of gorgeous sugar skull makeup and makeup tutorials for the ladies, but what’s a guy to do for the Day of the Dead? Don’t worry guys, if you want in on the fun of dressing up for this occasion but fear that putting flowers on your face might somehow diminish your manliness, you can put your anxieties to rest. 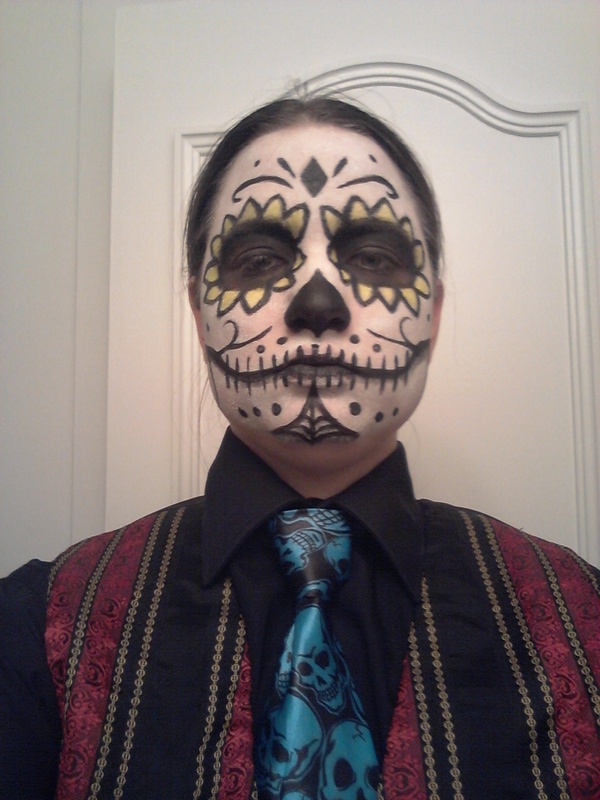 It’s perfectly possible to execute a kickass sugar skull look without being in danger of people calling you “ma’am”. 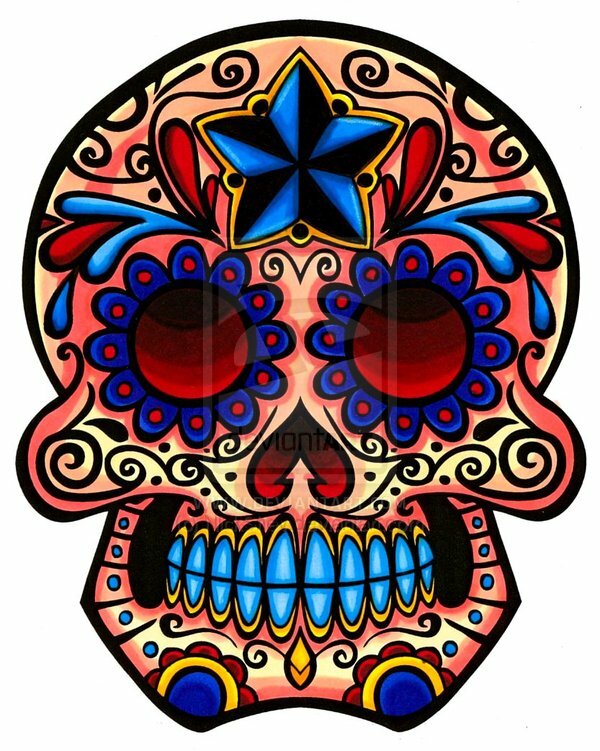 This how-to is specifically aimed at guys wanting to celebrate Dia de Los Muertos or Halloween with a sugar skull look and takes into account stuff that a guy is most likely to have on hand without going out and buying himself a whole freaking makeup kit that he’ll probably never use again. 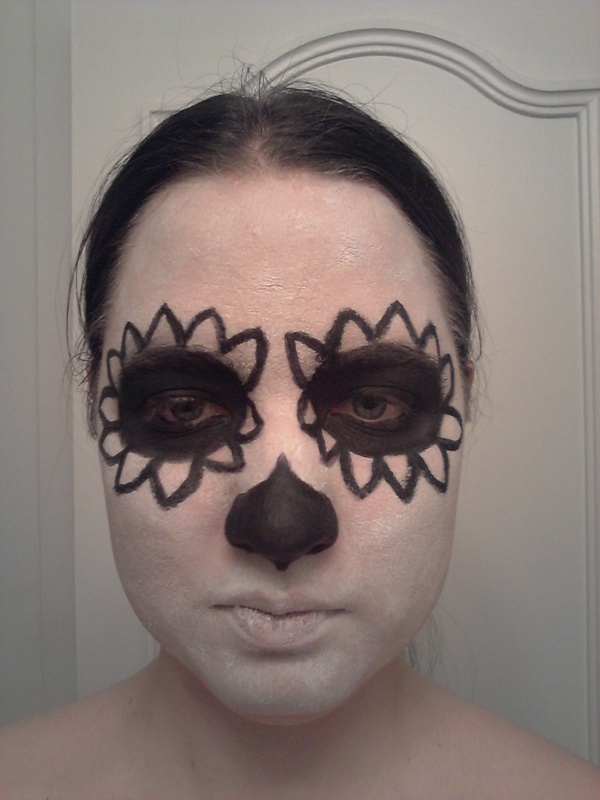 For starters, if you’ve seen my previous tutorial on sugar skull makeup, you’ll know the materials you need already. If not, you should definitely check it out as the techniques are pretty much the same. It’s the design that really needs attention here. Some of the painting techniques I will re-hash here where I think they’d really benefit you but I won’t bore you good folks with the same details over and over again. A couple thin paint brushes and some Q-tips. It’s best to start with a freshly-shaven face to avoid stubble sticking through the paint. 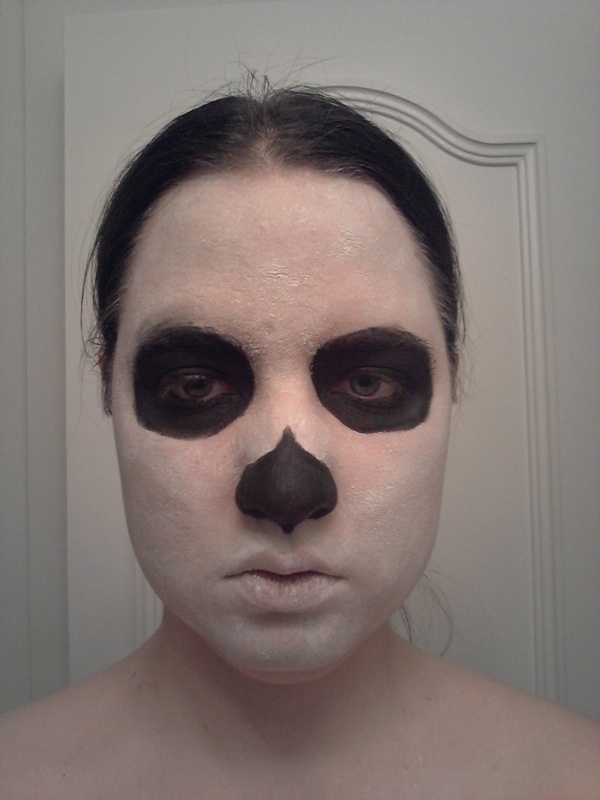 Draw around your eye sockets and the tip of your nose with a white eyeliner or just some of the white cream face paint. In order to find where you should draw on your nose, put your finger on the tip of your nose and slowly push upward until the squishy cartilage changes to bone. I make funny faces for your benefit! 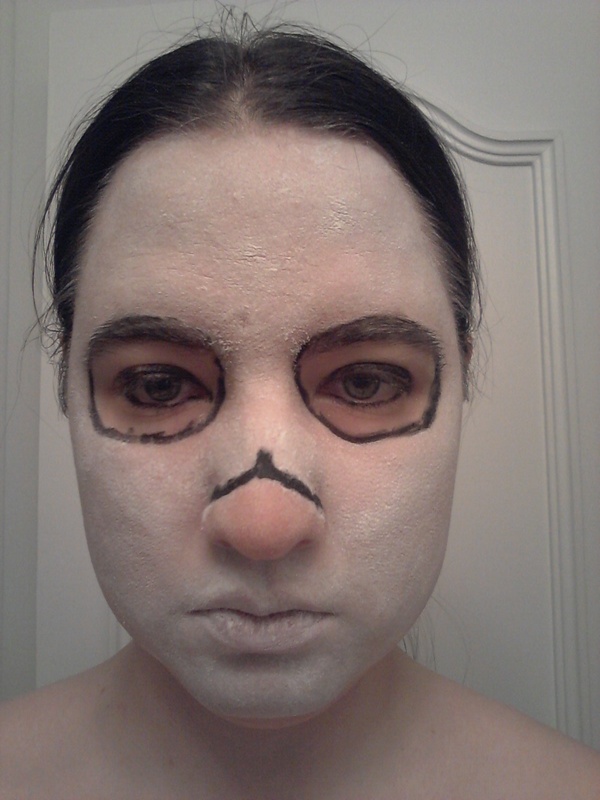 Cover your face with the white face paint except for the areas you just drew in. Use a makeup sponge for this and make pat-pat-pat motions on your skin to even out the paint. 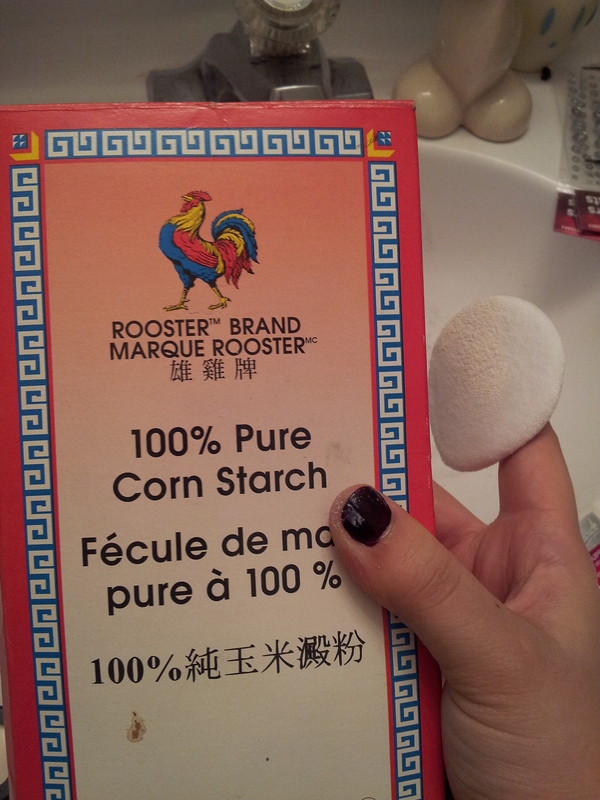 Take a bit of corn starch in your palm and your powder puff. 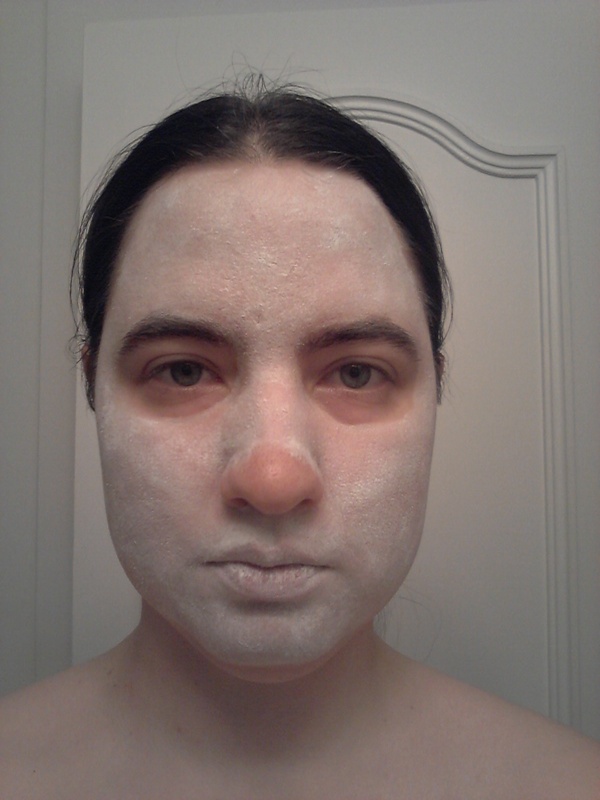 Pat the corn starch all over your face to seal the makeup. This helps even out the paint some more and also helps prevent smudging. 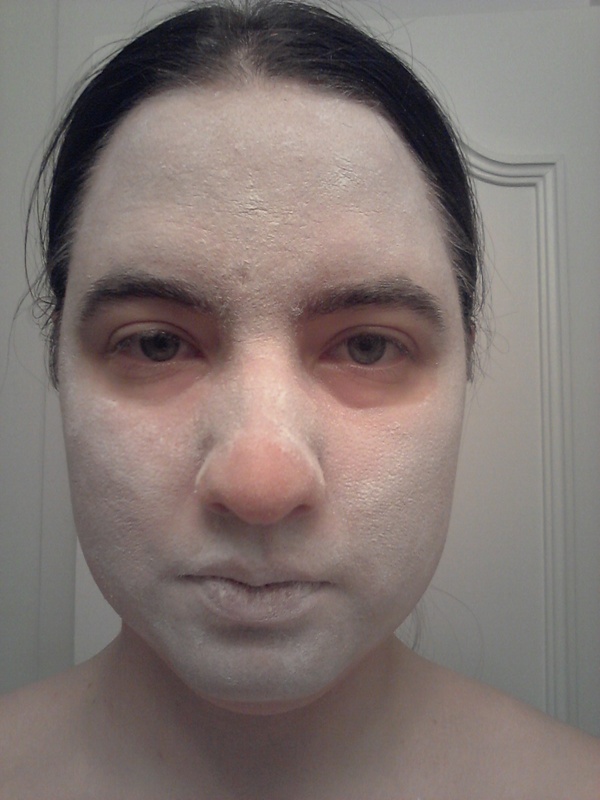 You can use baby powder for this if you want but you’ll smell like baby all night. I personally don’t like that. 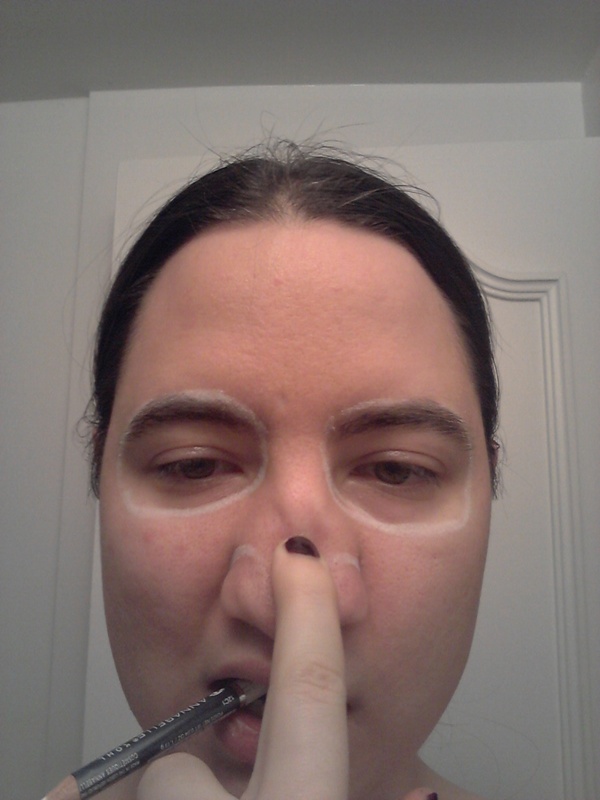 White eyeshadow also works but it’s more time consuming and I didn’t think the effects were as good. 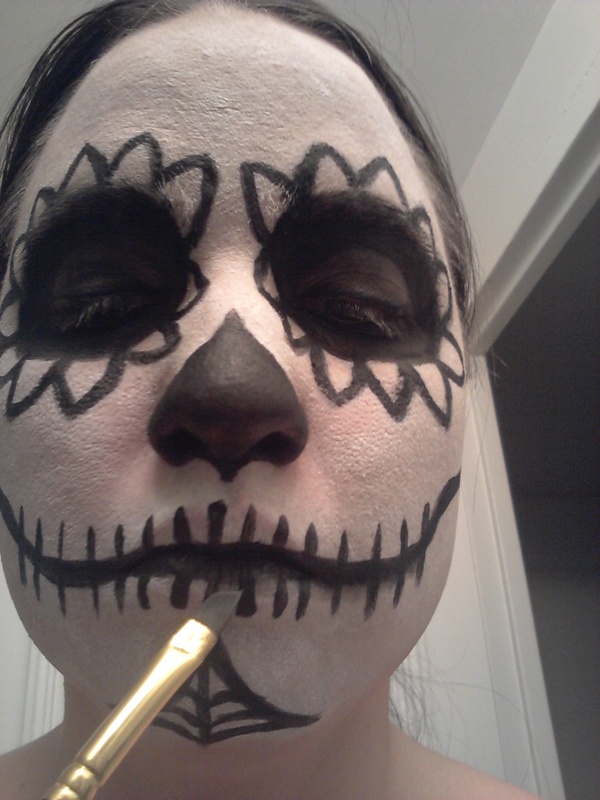 Draw around your eye sockets and the tip of your nose with the black eyeliner. Also, line your eyelids with it. Painting really close to your eye can be tricky and while getting paint in your eye, depending on the brand, can really sting, smudging some khol on your eyeball isn’t really a big deal. Don’t worry about being fancy here. It’s all going to be black anyway. Take your black water-based cake makeup, wet your paintbrush and colour in your eye sockets and the tip of your nose. You’ll need to paint inside the nostrils a bit especially if your skin is pale like mine. Otherwise it will be really noticeable. 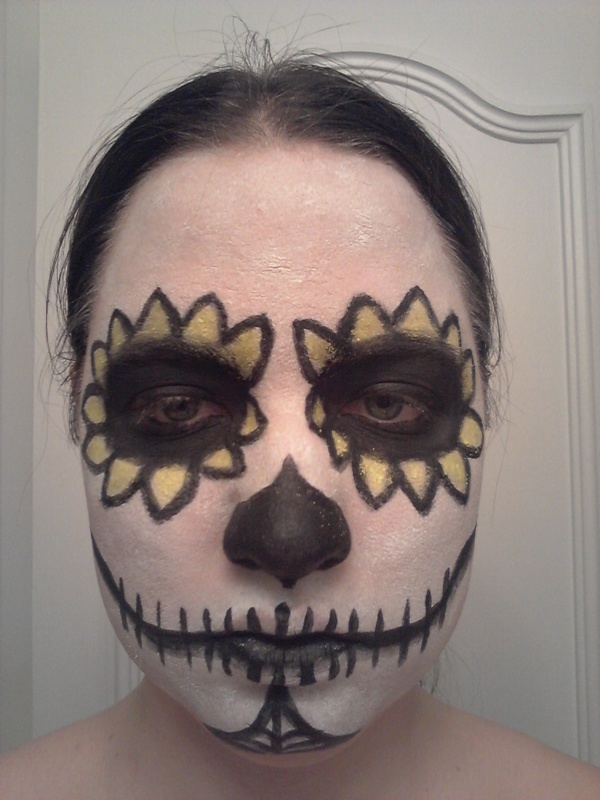 Use your black eyeliner to draw petals around your eye sockets. Then, using a small, round brush, go over the lines with the black water-based paint. In order to get clear, crisp lines, exhale when you put the paintbrush to your face. This will tighten your core muscles and temporarily stop your hand from making any unwanted tremors. It might sound odd but it really works. The petals you see here are large and slightly pointed. That is because I took inspiration from a sunflower. 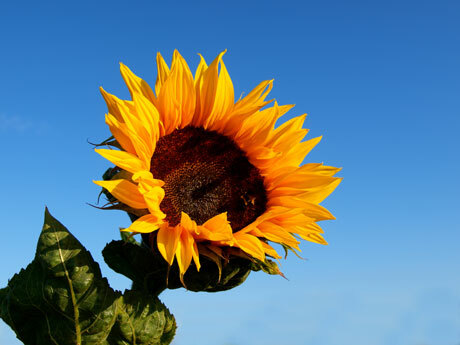 A full-grown sunflower is taller than you are, it has a thick stem covered in hair, and rough, coarse leaves. There is nothing dainty about this flower. If you’re looking for something inherently masculine, check out any flowers that are large, strong, and have bold colours. Pastel colours really won’t do it for you. Tropical flowers are pretty often a safe bet. Draw a black line curving up and back from the corner of your mouth to your ear. Follow the line of your cheekbone. If you’re not sure where that is, find your back molars (on the top row of your teeth) with the tip of your tongue. Push your tongue against the inside of your cheek so it bumps out. Make a tiny mark where that bump is on your face and use that to guide your brush. You can draw the line first in black eyeliner or you can just free-hand it with the black water-based paint. 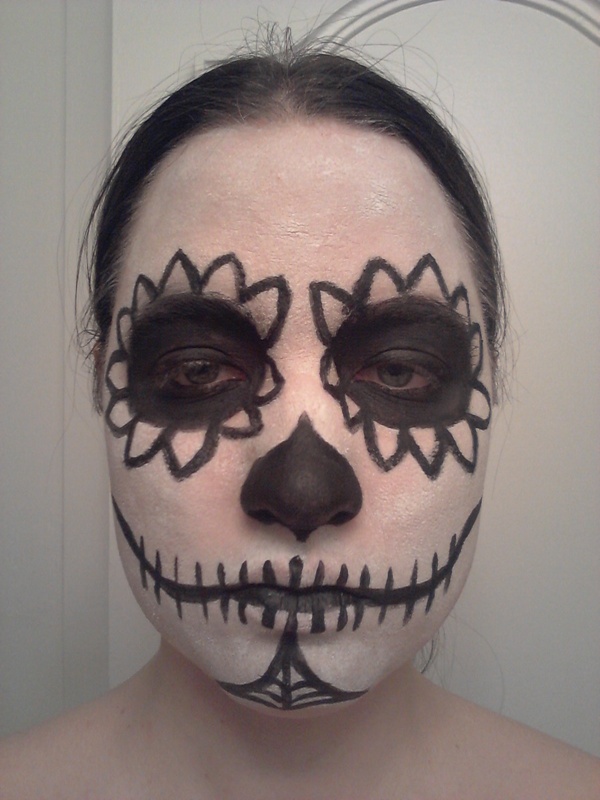 Just like in the previous tutorial I made on sugar skulls, you’ll want to draw vertical lines over your lips and along the line you’ve drawn. To get a more masculine feel, make sure the cheek line is thick and bold. You can see that I’ve also added a spider-web on the chin. 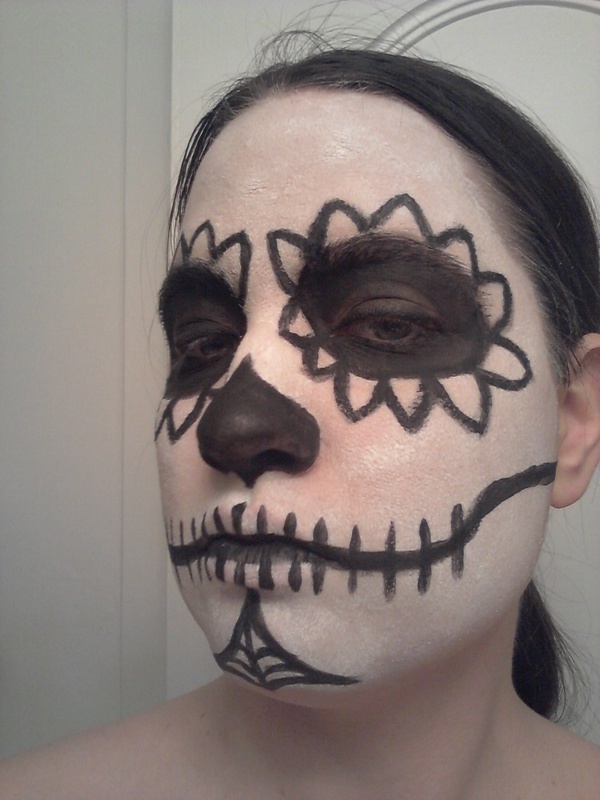 This looks vaguely like a goatee (except that skeletons don’t have facial hair or … y’know, skin to hold it on with). Making a bold, dark marking on the chin and/or upper lip can help make the makeup job more guy-ish. Remember to breathe out slowly while you’re drawing the details. It really helps steady your hand. Wet a flat brush and drag the bottom edge of the “teeth” downward about 3-5 millimetres or so. This creates a shadow. Do this right along the cheek line up to your ear. You can make the shadow wider as you get closer to your ear and it will help give the illusion of sunken cheeks. Wet a Q-tip and use some eyeshadow to colour in the petals. Work slowly and patiently, reloading often. Make sure to pay attention to the tip of the Q-tip to see if you’re getting any black on it. If you are, you may need to wipe it off with a bit of tissue or switch ends. Let’s not forget what happens when you mix highlighter with black sharpie marker! Ruined forever! Well, it’s not that bad with eyeshadow but you get what I mean. It’s annoying to have to scrape the paint off and re-do it so try not to do that to yourself. Go petal by petal, stopping after each coat to apply a second coat with a dry Q-tip. 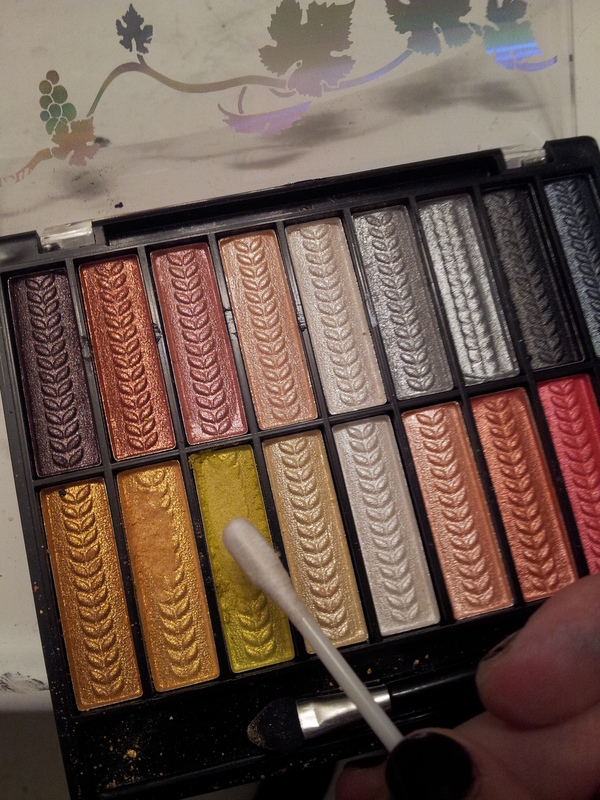 The moisture from the damp eyeshadow will help the second coat of eyeshadow stick to your face. If you’ve gotten any eyeshadow powder on the rest of your face, just take a dry Q-tip and gently brush it away. It will come off easily if you don’t press down on it. Go nuts with the details! Get out the round brush and the black water-based paint and make swirls, lines, dots, and shapes all over the place. Have fun playing with the design, remember to keep your lines bold and sharp, and don’t be afraid of colour! Your face doesn’t even have to be painted white. You can totally go for orange, blue, red, whatever you want. Just don’t make it too dark or the clean black lines you’re drawing won’t pop as nicely. Get classy. Put on some dress-clothes, don a fedora or a tophat and remember the flowers! Especially marigolds which are traditional flowers of the dead. If you screw up, don’t panic. 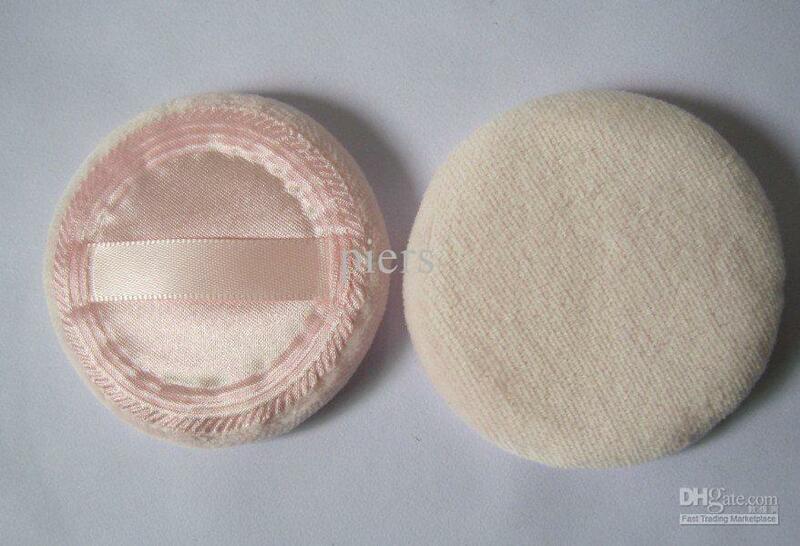 Take a clean, dry Q-tip and wipe off the mistake by pressing down on the skin and twirling the Q-tip. (Essentially, you’re just rolling the paint onto the cotton.) You don’t have to re-do the whole thing for one little line. 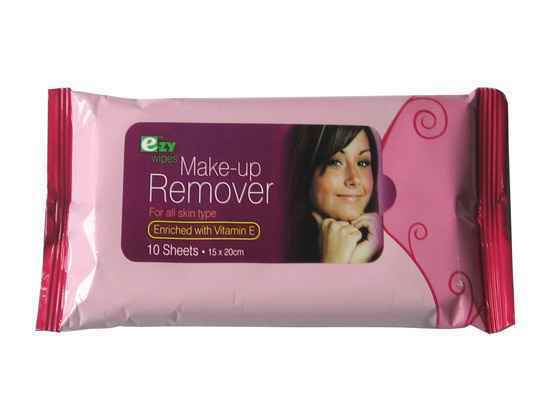 Get yourself some makeup removal wipes. 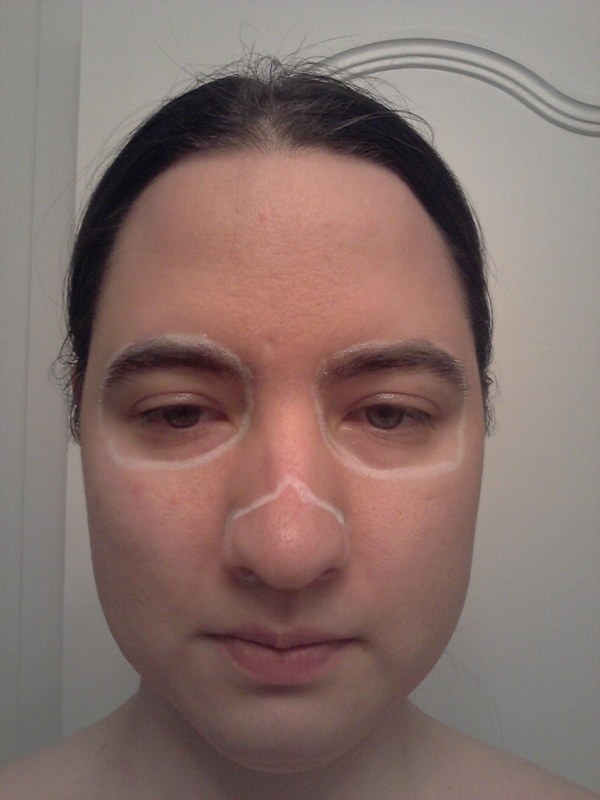 These things will take all that stuff off your face at the end of the evening without being harsh on your skin. 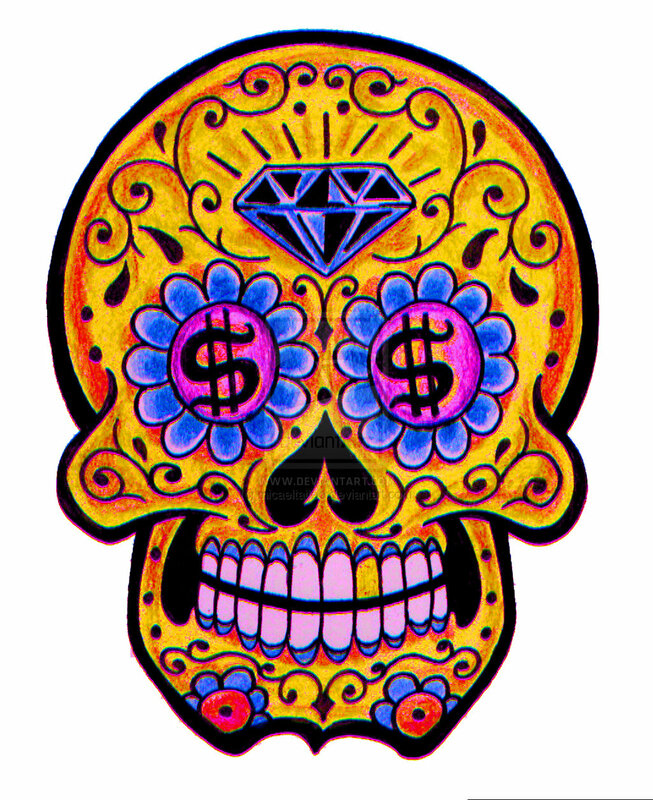 Check out the youtube videos I posted on my previous sugar skull tutorial. They will definitely help you. Hope this was helpful to you. 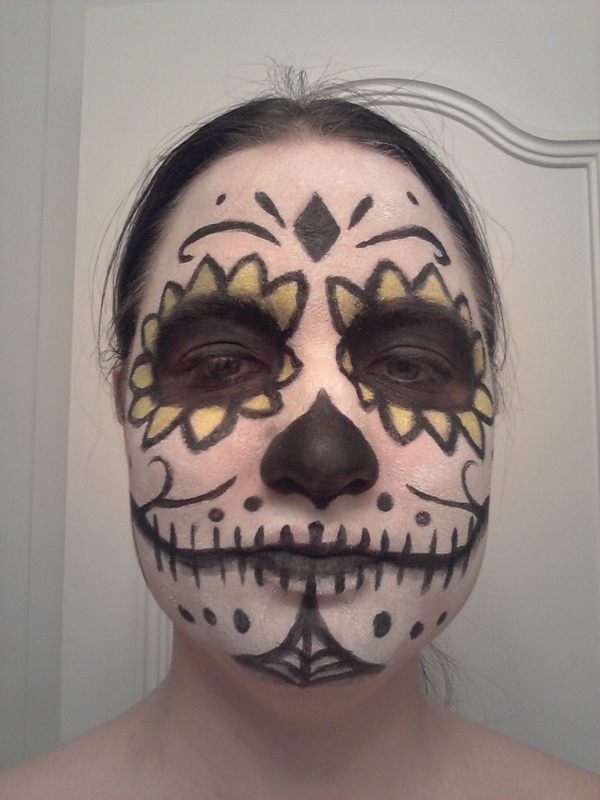 Thanks for stopping by and have an awesome Halloween, Samhain, and Dia de Los Muertos. Next Next post: NaNoWriMo: The Madness Commences!